Increased empathy and understanding can help close the distance between grantmakers and grantees, strengthen program quality, and maximize bottom-line results. When grantmaking staff see the world through other people's eyes, they forge deeper community connections, identify new opportunities to advance their missions and gain teh courage to take risks. Patnaik was an energetic, fast talking, but inspiring speaker! I think my big takeaway tweet (and the one that got retweeted most often on Twitter) was that if you are not connected with your community - you can not have empathy or make good decisions. 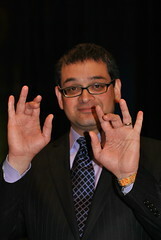 The GEO conference had a sign language interpreter and was interesting to me is how the interpreter's sign for empathy changed during his talk. So, with a simple visual - you can see that what he is talking about is not pity or sympathy, but coming together. He talked about the concept of empathy on an individual level: the ability to reach outside of ourselves and walk in someone else's shoes. In other words, to get where they're coming from--to feel what they feel. He describes widespread empathy as getting every single person in an organization to have a gut-level intuition for the people who they serve--the people who really matter. He described why this important in a business context, "When your organization develops a shared and intuitive vibe for what's going on in the world, you're able to see new opportunities faster than your competitors, long before the rest of us read about it in The Wall Street Journal. You have the courage of your convictions to take a risk on something new. And you have the passion to stick with it, even if it doesn't turn out right the first time." There was some discussion as to whether measuring results makes us less empathetic and the conclusion - at least from the audience - was that you need both. He also warned that simply asking stakeholders what they want is not empathy that it requires real engagement. During his keynote, there was an active back channel with people in the room and of course, those from my network who responded to my tweets. I asked folks on Twitter how any of this translated to social media. Garlin, one of the speakers for the Social Media session after the keynote, equated listening with empathy. How can we use this concept of empathy to improve our social media strategy and execution? As part of my work as Visiting Scholar at the David and Lucile Packard Foundation this year, I have been leading some peer trainings with grantees. Over the years, I have developed and refined one-day or half-day workshops on social media strategy and tactics for nonprofits. The curriculum and instructional design included "Principles of Effective Social Media for Nonprofits" and a version of the social media game created with David Wilcox. Last week, we launched the first session of the "Social Media Lab," a social media peer group training with a small group of grantees from the Children, Families, Communities Program. I was incredibly lucky to have a fantastic group of participants, all passionate about their work, very knowledgeable, and excited about integrating social media into their work. I also was honored to work side-by-side with esteemed colleagues Shiree Teng, Cheryl Contee, Ashely Boyd, and Dan Cohen. Thoughtful experimentation is setting up a low-risk experiment with metrics to figure out what is and isn't working is a social media best practice. If we can be more intentional and disciplined in our experimentation, that's how we gain insights about effective social media use. It prevents us from falling prety to shiny objective syndrome. It is also a good technique to explore the possibilities of new tools and techniques before investing more time and energy in something that isn't right for our organizations. The add-on to my previous workshops were three "experiment in a box" modules which included Listening, Twitter, and Facebook Fan Pages. The idea is that participants would learn some of the best practices for these social media tactics and then design and implement an experiment and share their results with one another. There is one problem with this design: Many of us find experimenting difficult. Experiments require short-term losses for long-term gains. With limited time and resources, we are often hesitant to make that trade-off. It seems more direct to pay an expert to tell us what to do, not get a checklist for an experiment. As a culture, we value answers over questions because answers allow us to take action faster, while asking questions makes us think. That's hard work, but worth it because good questions and gathering evidence usually guides us to better results. The problem with one-shot trainings is that you offer a lot of content and information, people get excited, and then they go back to the day-to-day reality of their busy work lives. Where do you get the time to put some of what you've learned into practice? And, when do you get the time to put your hands on the keyboard, shoulder to shoulder with a peer? 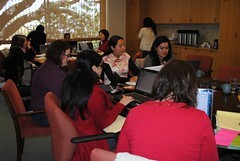 We included a big chunk of time for participants to work on their experiments while they were in the room. This is the gift of time. After each participant selected an experiment, we grouped them together and had them work together on setting it up. I did floating consults. This required setting up online curriculum that could step folks through set up and aid their planning and implementation. I created these for Twitter, Facebook Fan Pages, and Listening. I think this is particularly important to emphasize if you want to nurture any peer learning, but especially around technology skills. I modeled that I don't know everything. I didn't have the courage to do that when I was younger, but now I understand the power of knowing what you don't know. I love not knowing because it encourages me to reach out to my network and find the answer. I feel strongly that the new definition of a social media expert is someone who has a smart network. Manny Hernadez: Should an organization that serves both Spanish-speaking and English-speaking audience (and some only speak one language) have two different Fan Pages in the native language? What are your thoughts? How do you do it? My tag or shout out also appeared on Manny's wall and it didn't take him long to reply with a link to his post about strategies for bilingual fan pages. But even better, this question posted on my Fan Page wall generated 14 insightful comments with useful advice, including one from the Facebook developer who worked on some Facebook translation tools! The short answer: One Fan Page with multiple languages using Facebook Targeting tools. Ten years ago, before my son Harry arrived, I volunteered as a mentor for the Computer Club House in Boston. I wanted to get used to being around kids and what better way to do it than volunteer for a computer after school program. One thing I immediately noticed, is how the kids huddled around together at the computer screens and quickly shared what they knew with each other or how different discoveries quickly travelled from one kid to the other. There was a lot of what Nancy White calls "Over the Shoulder Learning." We can put shoulder-to-shoulder learning on steriods by integrating the use of social media to support learning. If two minds are better than one, what about 100? The wiki and our hashtag helps bring in other people into our learning and enrich it. 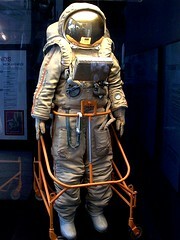 As participants go off and implement their experiments, they will not go alone. We'll have check-in conference calls as well as use the wiki and hashtag to provide just-in-time learning. The peer learning will culminate in having each participant present what they learned from their experiment. One of the participants was Ashley Boyd from Momsrising who has a significant amount of expertise as an early adopter of social media and genersously shared a lot of what they've learned. Ashely shared a mini case study about their Pacifier Campaign. Ashley shared a brilliant idea and technique avoid the stigma from failure. She calls it "joyful funeral" -- that you quickly say this didn't work, reflect on why, and move on. That way, on the front end, you acknowledge that since you're experimenting not everything is going to work perfectly - and that there is value in learning from those tactics that didn't work! I anticipate that we'll probably have some joyful funerals as move through this process, including a few of my own. I hope that we can take the flop out of failure and harness the learning. I used the social media game as a peer assist exercise for the first time. In all previous versions of this game, I used simulations (a fictional example of an organization or situation that had a smart objective and audience already defined). Simulations work better because participants can focus on applying the social media principles and picking tools than on defining an objective and identifying an audience. Next time, I will use simulations based on participants or if budget and time permits, include one-on-one coaching with participants prior to the first session. While participants do complete an assessment form, I think participants might benefit from some one-on-one coaching. It would also be great to have a bank of examples that show an organization's SMART objective, audience identification, and social media strategy. I've been using the game now for almost four years in many different versions and reiterations. 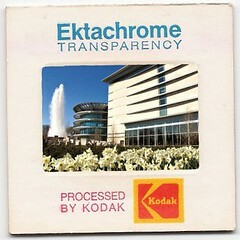 Many people have also remixed it. When I use it with a large group, I do a fair amount of social engineering to ensure there is the right mix of technical experience, communications experience, and meeting facilitators. Mostly that is done in the room. I think this is still important for even a smaller group. I also remixed the game recently to incorporate some of the latest tools such as mobile and location-based social networks. And, as such, the game was a little bit more advanced than it needed to be. And while this might have caused some confusion or even stress, I think it is good to expose people to the tools that the early adopters are playing with. Just so they know the basic concept. Over the weekend, on the heels of this session, I attended a "Playshop" by game designer Nicole Lazzaro. 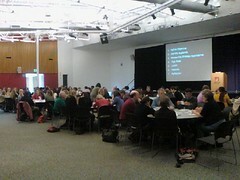 I learned about the four keys of fun in game design as well as the role emotion plays in engaging people. My next task is to begin to integrate this thinking into the game as well as the overall instructional design. Stay tuned for that! I've been delivering technology trainings as a one-woman band since 1994 when I facilitated workshops in how to use email or create web pages. I've worked with a team to do my social media module, but I've never lead a team of training. I'm learning how to scale when you collaborate with other trainers and how much you need plan or create formal lesson plans. One of the most enjoyable activities as visiting scholar at the Packard Foundation is being able to participate in think tanks on a topic. Most of the ones that I have attended have been convened by Monitor Institute as part of their network practice. 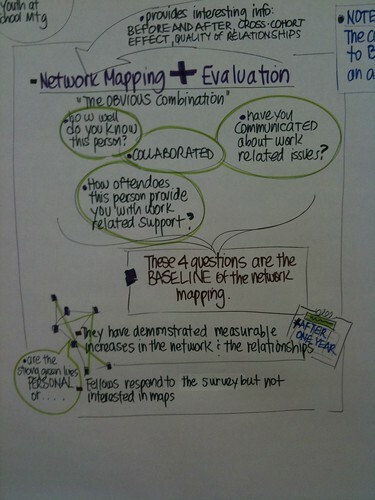 Both today and tomorrow, I've been participating in a convening with funders and others to discuss networks. If you want to follow along, we're using the #networkf tag on Twitter. What's nice to see is that everyone is much more comfortable with live tweeting, being more transparent. The guidelines are no live tweeting of confidential information! In fact, one of the presenters mentioned how she had discovered the tag from the last meeting and was able to follow along. I find this useful to be able to connect with subject matter experts outside the room to ask questions or bounce ideas. And even though the responses are 140 characters, it can stimulate your thinking. The focus of the day was on the life cycles of networks and Theory of Change Archetypes for Networks. As I was taking notes, I was thinking about the whole question of how and where selection of social media and online collaboration and communications fits - and the bigger picture. Much higher than the balcony, up about 10,000 feet where you can put messy social media tools and network behavior into neat boxes. Sanjeev Khagram, iScale, took us through a draft white paper on Network Life Cycle. The paper will be published later next month, but it stimulated an incredible conversation. For me, it helped me think more clearly about relating network life cycle to the network's selection of online collaboration and communications - both those for private conversations and those for more open conversations. It made me think of Nancy White, Etienne Wenger, and John Smith's work with online communities of practice. As Sanjeev was presenting, I wondered if the communities of practice orientation might work for a network? I asked Nancy White on Twitter and her answer got me doodling on Powerpoint (see above). We also had a presentation and discussion on catalyzing networks from Claire Reineit The big aha moment for me was the use of social networking analysis as an evaluation tool to look at relationships and collaboration over time. Steve Downs from Robert Wood Johnson shared some reflections on a foundation-wide effort to become a web 2.0 Philanthropy and working in a network mindset. It generated an insightful discussion about crowdsourcing for innovation and social change, organizational culture issues, and more. Last November, I had the pleasure of leading a workshop for a 100 Silicon Valley nonprofit organizations in hosted by Compasspoint and generously supported by the David and Lucile Packard Foundation. The workshop was filled within 24 hours and there was a waiting list. So, we scheduled an encore today for 65 people on the waiting list. This workshop is mostly small group work and this time I experimented with smaller sized groups - 6 participants versus 8-10. It worked much better. I tend to do a lot of "share pairs" where people get a chance to do a debrief with someone else in the room. It helps people process what they are learning. My biggest problem as a facilitator was transitioning from the share pair back to full group. I had been using chimes. But even with the loud noise they made, it did not get everyone's attention. Nelson Layag, who designs and delivers a lot of nonprofit trainings as part of his job at Compasspoint, shared a secret killer tip with me. He suggested that you tell people at the beginning that if the group sees you raise your hand, to raise your hand. This sweeps through the room - and gets people attention. And it worked! Another process piece that I experimented with to ask the group to do active listenings to the report outs from the game and identify good ideas they might adapt. This idea came from Shiree Teng who I will have the honor of working with on an extended group training. The major content theme was not "How do we find the time?," but a more subtle variation. How do integrate social media into someone's job? How do we manage it? Interns: There are definitely pros and cons to using interns. The danger of course is to recruit an intern who is facile with the technology and simply dump the social media stuff on them. This is a bad idea. Jeremiah Owyang has some good suggestions on how to integrate the intern into the team so they understand the strategic big picture. Also the intern can help the strategy people understand the team. If you go the intern route, Kivi Leroux Miller has some tips for giving social media projects to interns . And, if you want steal a great job description for an intern and recruitment method, check this post out from the ACLU of Northern California. Free Work: Seth Godin wrote a post a while back about the difference between using interns and "free workers" people who are unemployed or underemployed who want to build their resumes. Empower Your Fans: You can grow your social media team without making a new hires. Andy Sernovitz tells you how. Paid Staff: Not many nonprofits have a full-time staff person doing their social media. While I haven't seen any industry wide nonprofit studies, there is some data on social media staffing for Theatres and orchestras. For those organizations in a position to talent scout for social media expertise, here's some good advice from David Armano and what should go in a job description. What I see mostly is nonprofits looking at a particular job description and figuring out how to incorporate social media responsibilities into a job that includes other responsibilities. What resources or tips do you have to getting the social media job in your nonprofit organization? It seems like just yesterday when I started my nine-month journey as Visiting Scholar for Nonprofits and Social Media at the David and Lucile Packard Foundation. And it's good to have a journal recording what I've learned. But it's even better for learning to have someone asked you some questions. Emily Culbertson from the Communications Network interviewed Stephanie McAuliffe and I for a blog post about my time at Packard Foundation titled "Learning the Ropes of Social Media"
I participated in a meeting today at the Packard Foundation facilitated by the good folks at Monitor Institute to reflect on the work they've been doing over the past 18 months on network effectiveness. Over lunch, we had a conversation about what I have learned about working within an institutional setting and how it differs from working in the "social media cloud" or in a networked way. Working in an institutional setting is far more structured, formal, more face-to-face meetings, slower paced, and less porosity. Working in a networked way is more non-linear, faster paced, informal, and very porous. I'm not making value judgement that one is better the other, but recoginizing they are different. These are different cultures, different languages, different ways and styles of working. The technology to support the work is very different. I think one of the keys to transformation and adopting social media or a networked mindset is recognizing how to simultaneously have a foot in both worlds or learn how to shift between the two. It is difficult to switch from one mode of working to the other, particularly if the different mode of working is not familiar or part of your routine. And, the first experience can be very uncomfortable. What happens a lot is that someone might try it, experience discomfort and immediately stop. The problem is that it takes doing it more than once. I think it is really important to have a sand box where you can practice using the tools or techniques of working in a networked way in a low risk, safe environment. And, sand boxes are social. You need to be with other people because there is an element of social learning. And, the sand box needs to be more play than formal instruction. Recently, a colleague who knows a lot about network weaving mentioned wanting to learn more about some social media tools. I wanted to learn more about network weaving. So, we decided to set aside an hour a week for sand box time. Making time - even just an hour week on your schedule where you aren't checking something off the to do list is hard. But it has been very a rich and rewarding learning experience. Another important element in the sand box is what Rachel Happe calls orchestrated serendipity. She says that serendipity is supposed to be a happy accident and that actually planning it may not seem possible. She says that you can't define actually what will happen, but you need to set up an environment and processes that facilitate serendipity happen. She points a post by Christopher Penn and an article in Fast Company called How to Make Your Own Luck that also talk about this principle. 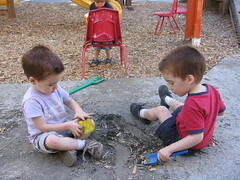 How have you used sand boxes for informal learning? How do you encourage serendipty? A few weeks ago I had the pleasure of speaking with Vikki Spruill, Ocean Conservancy's President and CEO and members of her communications team, Laura Burton Capps, and Dove Coggeshall about their recent experiments and learning on Facebook. The organization is a Packard Foundation grantee. The Ocean Conservancy is dedicated to the goal of a healthy ocean by increasing public awareness of ocean issues and bringing significant changes to the way oceans are managed. Here's an overview of the issues they are working on. 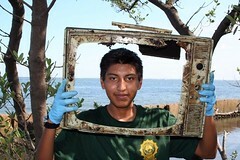 For the past 24 years, they organize an annual grassroots, volunteer event called "International Coast Cleanup" where hundreds of thousands of volunteers hit spend a few hours removing trash and debris from coastlines, keeping track of every piece of trash they find. One of the key principles for an effective social media strategy is experimentation, learning, and rapid prototyping. David Armano describes this process as "Listen, Learn, and Adapt." You can't answer this question "What's the Value?" unless you experiment and learn. Easier said than done. In our book, The Networked Nonprofit, we devote an entire chapter to something we called "Learning Loops" which is a combination of tracking and monitoring in real time as a project unfolds, but also incorporates a process of reflection at the end of the project to the next experiment. It is really hard to carve out time to take a step back and reflect on what has gone well, what hasn’t, and what to do next. Being iterative or rapid pro-typing is the secret to getting tangible results from your social media efforts over time, yet many organizations find it difficult to do. I was most curious about is how an organizational leader encourages learning and experimentation and decides to implement that first social network experiment? Also, how do you sustain this process of try it, fix it. In 2007, Vikki Spruill attended a seminar hosted by the Packard Foundation with Clay Shirky and came away both scared and excited about his ideas. The idea of "giving up control" was very different for this organization. But as Vikki herself says, "Nonprofit leaders shouldn't settle for the status quo. I'm always looking at what's next and seeing how to incorporate it." The first step she took was to make a presentation to staff about what she had learned. She initiated a discussion about how to test some of Shirky's ideas. Vikki says one of the challenges is overcoming resistance. "We get very used to our routines because they are comfortable and we know they work." Vikki says it is really important to present experiments as a pilot, a test, and that trying something new doesn't necessarily mean it is a future direction. As the leader, she is creating a culture of flexibility. Vikki observes that one of the big hurdles for nonprofits to take a R&D approach is that there is often no ongoing budget or time to do experiments. Often, experiments are done for extra credit. It is important in designing a social media experiment that the work isn't an add-on or perceived as "extra work." 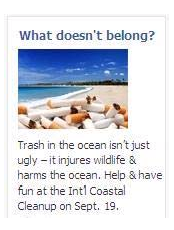 How can we use Facebook to raise awareness about and participation in the International Coast Clean Up event? 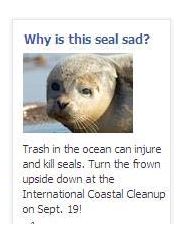 Facebook was an uncharted territory for the Ocean Conservancy. In addition to their Fan Page, they developed two Facebook applications, "Take a Beach Break" and "Which Ocean is Your Ocean" as well as tested different ads on Facebook that linked directly to the event sign up on the web site. The applications and ads were tracked using email sign ups, daily active users, application installations, referral traffic and event registration. The Ocean Conservancy picked very specific, narrow objectives for their experiments and specific metrics to measure them. They resisted the temptation to try to reach out broadly and instead focused on a specific target audience for a specific program on a specific site. For example, with Facebook ads, they were able to set up a series of a/b tests using different taglines, creative, and audience targeting. By embedding tagged links in the ads to the Ocean Conservancy site, they were able to track the referral traffic for different ads. 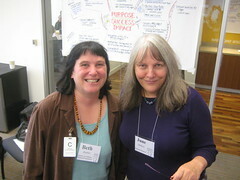 Note from Beth: As visiting scholar at the Packard Foundation, I'm connecting with other people who are studying and learning about how networks work. A lot of the ideas resonate with using online social networks and social media effectively for nonprofits, especially in the larger frame of movement building. In October, I had the opportunity to meet Steve Waddell whose research focuses on Global Action Networks. One of the tools for better understanding networks are visual diagnostics and mapping techniques. This another area of Steve's interest and expertise. He co-authored a paper called "Visual Diagnostics and Mapping for Scaling Change" and we had an opportunity to discuss it. He agreed to write a four-part primer on a visual diagnostics, mapping, and social networking analysis primer and how nonprofits might use these tools for social change. 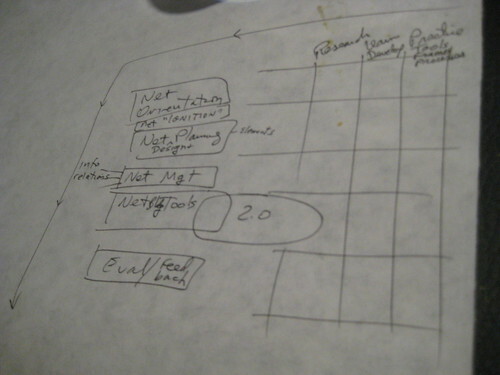 If you missed it, you can read Part 1: Systems Mapping for Nonprofits. Understanding who is connected to whom can strengthen your strategy. But the connections might be so be numerous, or the formal org charts might be so misleading, that you can’t “see” what is happening easily. Maybe your question is about inter-organizational connections in your issue system (eg: agriculture, finance, housing) – it may be local, regional or global. Or, if you work in a large networked organization, maybe you want to understand inter-personal ties to understand work processes better. There are a couple of tools that can help you out. The “quick and dirty” one is web crawls. The internet is structured around sites that have unique URL addresses. And most sites have (hyper) links to other sites that you click on to take you to other sites or pages. These are inserted because they have more detailed information with regards to a topic (including, of course, ads), because the host wants to connect people to allies or colleagues, or because they may be foes on an issue. These connections between unique URLs provide the basis for mapping relationships by doing a “web crawl”. A software program can draw the relationships between organizations’ web links, to give a description of the virtual network of the organization. 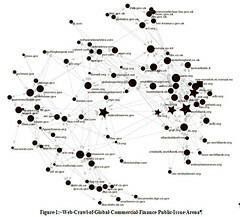 It shows links between URLs that can collectively be called the global commercial finance public issue arena. These are the organizations to which global commercial finance institutions link. The crawl identified 282 URLs; only the top 100 are shown in the map. Separate data that is generated lists the number of links to each URL and the direction – whether they go to a URL or come from it – which is important to understand who thinks whom is worth attention. Another list summarizes the number of links. 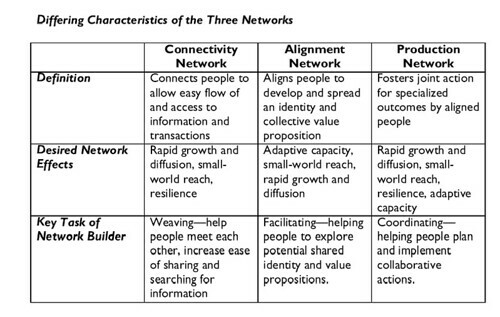 This map itself illustrates such structurally important things as groups (cliques), bridges between groups, and which organizations are best connected. Of course as with any methodology, this presents a limited picture. It depends upon organizations having web-sites; in global finance, it is pretty safe to assume that influential organizations will have one. Web crawls are particularly useful when used with other network analysis methodologies because they help identify organizations in a field for further investigation. For example, the organization lists developed from crawls can be an initial list of who to include in classic social network analysis (SNA) that can show links between individuals, parts of organizations, an issue system, or subset of it. 3) When creating a leadership group or board, make sure you engage the nodes of each group. The descriptive analysis therefore supports a strategy of firmly building on the current local orientation, social structure and capacity to develop a GRI approach. Rather than GRI being a foreign entity coming in through a particular stakeholder group as is often the way a organization enters a new region – raising great suspicions among other groups – GRI can begin with a much more comprehensive strategy that weaves together current social relationships in a new way. 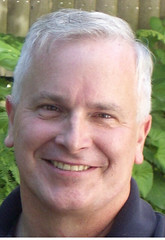 Steve Waddell: As Principal of Networking Action, Steve Waddell applies his 20+ years of experience in multi-stakeholder network development to address complex issues regionally and globally. Today I had the pleasure of giving a presentation for the Packard Foundation board of directors to provide a brief report on how I spent my time as Visiting Scholar and share some insights about social media and the nonprofit sector. As I said in my introduction, I am grateful for the Packard Foundation for my time here as Visiting Scholar and the transformative learning experience. Yesterday I wrote about social media and governance describing some ideas about how social media might be valuabe as part of the governance process. The first step, of course, is education. So, part of the presentation included a live demonstration on Twitter. Here's the transcript of responses as of two hours after the demonstration. 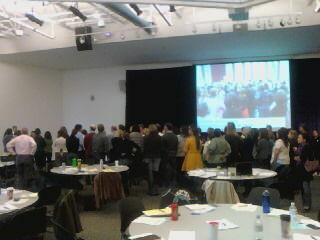 We got a range of responses from nonprofits, foundations, and even some colleagues of board members. eugevon breaking down barriers between grantees and non-grantees. DarimOnline Say Hi to Jason Burnett for me - was a roommate and good friend at Stanford a few years back. In addition, I shared a detailed case study about the Red Cross, a couple of nonprofit examples of using Twitter, and brief update on my work plan accomplishments, including the book, The Networked Nonprofit, and the social media trainings and coaching I undertook with grantees. These days I mostly measure 2 things 1) how good are we at getting our community to join/talk w each other for mission 2)how good are we at helping people prevent, prepare for and respond to emergencies? The case study also prompted a fabulous question: "What is it about some nonprofits that allows to change and adopt social media?" This is a question, that we attempt to answer in the book in a chapter about social culture. More about that later. They asked two questions about the experiment. First, whether I had asked people in advance. I shared that I had been sharing tweets that I was doing this presentation and experiment. Also, they wanted to know how many times the message got retweeted. I got asked a fantastic question: What have you learned? I mentioned that I learned a lot and have been sharing my learnings with the field on this blog. The biggest point of learning for me was how to shift between the "cloud" that is the social media web and the "tower" or working within an institutional setting. These are different cultures, different work styles, and I think one of the keys to transformation and adopting social media and recognizing how to simultaneously have a foot in both worlds or learn how to shift between the two. Doing a demonstration like this has a value - it opens up the conversation for further exploration. It also gave, as Steve Bridger notes, a window into the world of a board meeting of family foundation. What do you think about social media in the board room? 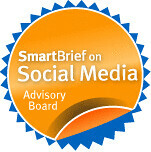 What's important for nonprofit boards to know about social media? What is the role of social media for foundation boards? Can you use social media to spread thought leadership? Yes you can! As Visting Scholar at the Packard Foundation, it's been a living laboratory, learning about social media and networks in a philanthropy context. The conversations about what constitutes an effective nonprofit social media strategy have been thought provoking. In the last few weeks, I've an opportunity to present and participate in conversations about social media, nonprofits, and foundations with those who work in philanthropy. I did a presentation for a group of Bay Area population research funders along with Scott Swenson, editor of HR Reality Check. The most interesting question was "What should funders think about to encourage effective social media strategy best practice?" Last week I facilitated a workshop in Michigan for the chapter leaders of EPIP which stands for Emerging Practitioners in Philanthropy and again this week for the Bay Area Chapter. A theme that comes up in these discussions in way or another is the question, "Social media for external communications makes a lot of sense for nonprofits that are advocating, fundraising, or marketing something - but what if the Foundation isn't doing that or 'selling anything.' How to or if to use social media?" I've been thinking about that question a lot. Foundations have the opportunity to spread thought leadership through social media channels. Jill Finlayson from Social Edge at the Skoll Foundation pointed to a discussion about using Twitter for social entrepreneurs and I think some of the points could more broadly inform a strategy for thought leadership via social media channels. And these are a translation of social media nonprofit best practices. 1. Learning: A fast and flexible learning strategy that encourages listening for learning - both at the organizational level and professional/individual level. It's tracking what people are saying about the Foundation, its programs, and the issues and grantees supported. It's about field scanning, pattern analysis, and trends. There are barriers to listening- information overload, honoring professional learning as work, and getting comfortable with the tools - but these can be overcome. 2. Engaging: Once systems are in place to listen and it is embedded the work flow, the learning has to be porous. Engagement begins but through social media channels. Convening the conversation with grantees, with colleagues, with the field - is something that foundations are already doing and it can be could be done effectively through social media. People who work at foundations are experts in asking reflective questions, sharing new insights, whole systems thinking -- why not have this learning leak out to the field through Twitter or Facebook? There are challenges to navigate - which is the line between personal/organizational voice, using online to enhance and extend face-to-face relationships (not replace), and keeping sensitive conversations private when they need to be. 3. Sharing Insight: This is educating through sharing ideas, research, trends, best practices, and other content with colleagues, grantees, and the field. This is already being done through other channels - whether staff is speaking/attending conferences, publishing articles in journals, conversations with grantees or experts in the field, posting white papers and research on the web site. With my short time Scholar in Residence, I've been exposed to a gold mine of incredible thinking, discussions, and resources on topics related to my field. Nothing proprietary or sensitive, just that I've been exposed to papers, studies, links, thought provoking articles. Why not have those items shared more broadly? Foundation people also have a good lens - so looking through the streams and sharing the best resources would save people time. 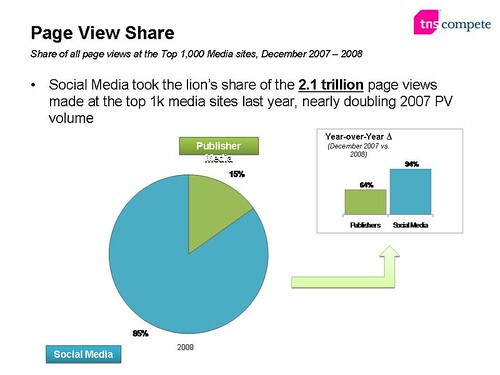 All that needs to happen is a content strategy to have these valuable insights shared through social media channels. Why keep them locked up? There are barriers - mostly having a clear understanding and policy about outward facing communications and feeling comfortable. A few days ago, I came across an interesting article about how to Tweet your corporate culture - and it struck me that the points might lead to a content strategy for tweeting thought leadership. I also came across a list of 90 Foundations That Tweet and took at look at their Tweet streams. 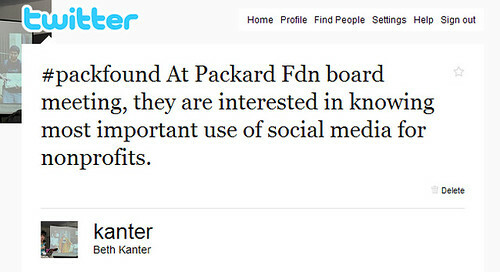 Here are some example of tweeting thought leadership. How can you use social media to spread thought leadership? 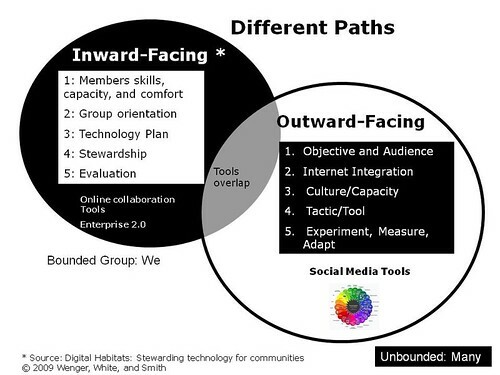 How can you use social media to make your organization's learning more porous? I'm slowly inching back into a routine which includes blogging. I wanted to share with you some of what I learned today. As part of my research at the Packard Foundation, I've had the opportunity to attend a lot of briefings and discussions related to social media and network effectiveness. This morning Peggy Duvette and Angus Parker from WiserEarth spent some time at the Foundation sharing their experiences in building successful online communities of action and networks of networks on the WiserEarth online platform. I appreciated the introduction from Peggy and Angus because while I was aware of WiserEarth, I wasn't entirely clear what it offered and the benefits of using the platform. Now, I'm a fan! Some history. WiserEarth's vision comes from NCI’s Executive Director, Paul Hawken, who recognized its need when researching his latest book, Blessed Unrest: How the Largest Movement in the World Came into Being, and Why No One Saw It Coming. WiserEarth is more than a "green" online social network for individuals, although you join as an individual. The vision is to help the global movement of people and organizations working toward social justice, indigenous rights, and environmental stewardship to connect, collaborative, share knowledge, and build alliances. The WiserEarth platform does this through a variety of strategies. First, there is the Directory - the largest international directory of non-profits and socially responsible organizations - approximately 110,000 from 243 countries. (There is also an Open API so this information can be repurposed on other areas of the web.) You'll also find a detailed taxonomy of issue areas related to social justice and environmental restoration. But the most interesting part of WiseEarth platform is the groups feature. It allows groups of individuals or organizations or a mix to set up a space online to engage in discussion, share resources, or collaborative on projects. What's nice about this feature is that has a lot of flexibility - so you can set up private spaces, semi-private spaces, or public spaces. It's designed for networks of networks and communities of action, whether the network or community consists of people or organizations. Some of the groups have been set up by organizations to convene workgroups of staff or collaborations across organizations and need a secure online space to do their work. For example, The Nature Conservancy is part of a group called the US Fire Learning Network group. 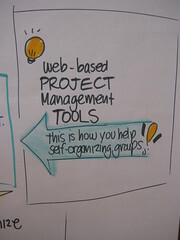 The features inside of groups include discussion board, file archive, wiki, events, a map, and a number typical features to support online collaborations. An example of "semi-private" group, is the Permaculture Alliance of California. This was initially set up by an individual passionate about permaculture and wanted to pull together all the various grassroots, ngos, and individuals working on the issue. 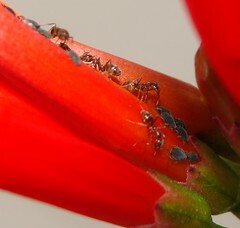 The intent was that, by rapidly training individuals in a core set of design principles, those individuals could design their own environments and build increasingly self-sufficient human settlements — ones that reduce society's reliance on industrial systems of production and distribution that Mollison identified as fundamentally and systematically destroying Earth's ecosystems. While originating as an agro-ecological design theory, permaculture has developed a large international following. This 'permaculture community' continues to expand on the original ideas, integrating a range of ideas of alternative culture, through a network of publications, permaculture gardens, intentional communities, training programs, and internet forums. In this way, permaculture has become both a design system and a loosely defined philosophy or lifestyle ethic. So, what's very unique about this platform is that is flexible enough to support activists who want to weave together their personal networks around a particular sustainability issue. It can also support the work of organizations and networks of organizations. But, the value-added is that you find and connect with other people and organizations that you may not know about - just as you would on a social network like Facebook or Twitter. But the value here is that all members are interested in sustainability. When you set up an account, it is much like setting up a profile on a social network. Except, that when you connect with others, you invite them to join your personal network. On your profile, similar to Facebook, you can see your friends photos and names, but you can also navigate through your social graph visually. Above is the visual representation of my social graph on WiserEarth - it shows me groups, interest areas, and friends. I click on a name and explore their network. What are your goals? Pick three things you want to do together.